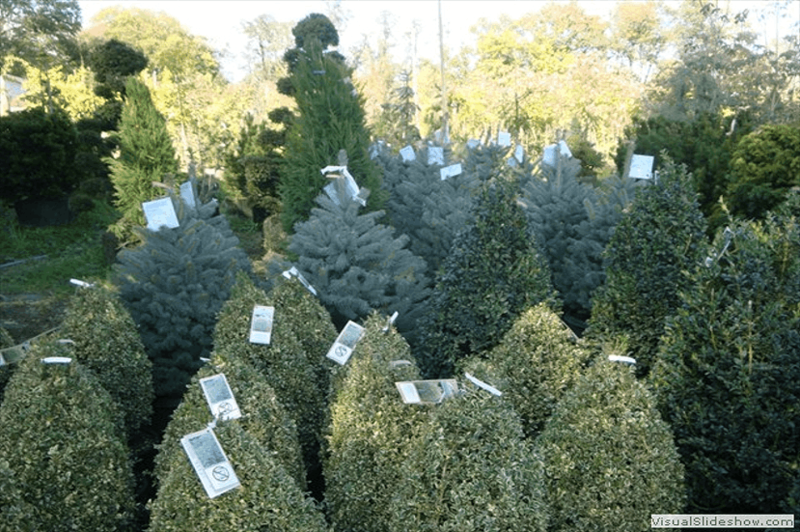 Ivandale Nursery is located in Loudoun County, Virginia. Frank Bredimus, the owner of Ivandale Farms Nursery is an Arborist. He is available to provide the following services: Tree cabling to avoid splitting trees, tree risk management, lightening protection systems and selecting the right tree for conditions in your yard. At home, you will write the name of the trees you have purchased on each stake and place the stake in your yard where you would like the tree to be placed. Please ensure that you put the name of the tree on the stake. When our planters arrive, they will place the tree exactly where you placed the stake. There is no need for you to be there for planting- just be sure to have the stakes in place. When we plant the trees, we dig a hole bigger than the root ball, place the tree in the hole and cover the roots. Landscape fabric is fitted around the tree to prevent weeds. Lastly, we water the tree, fertilize it, mulch around it and stake the tree if necessary. We also provide deer wrapping at an additional charge. To care for your trees, you should give each tree a good soaking of water one time per week- no more.